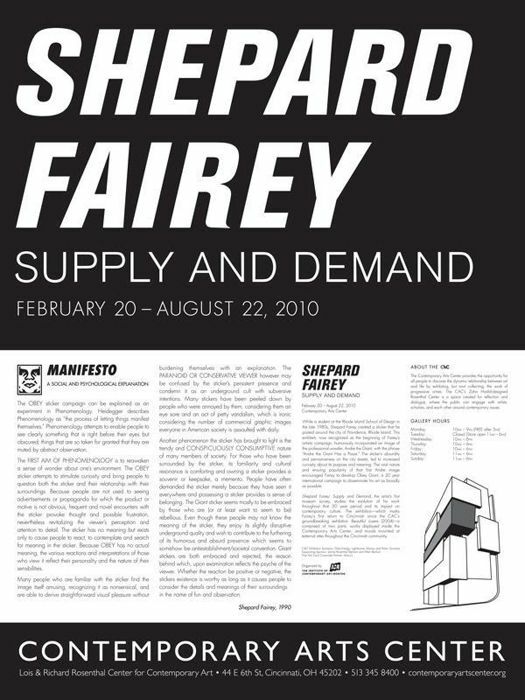 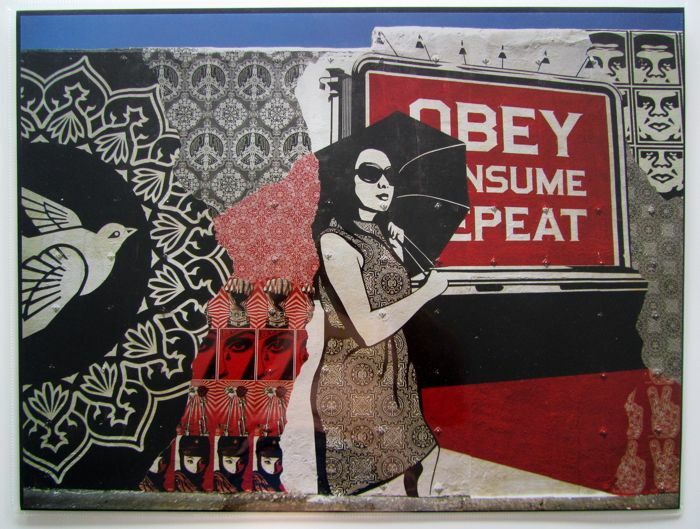 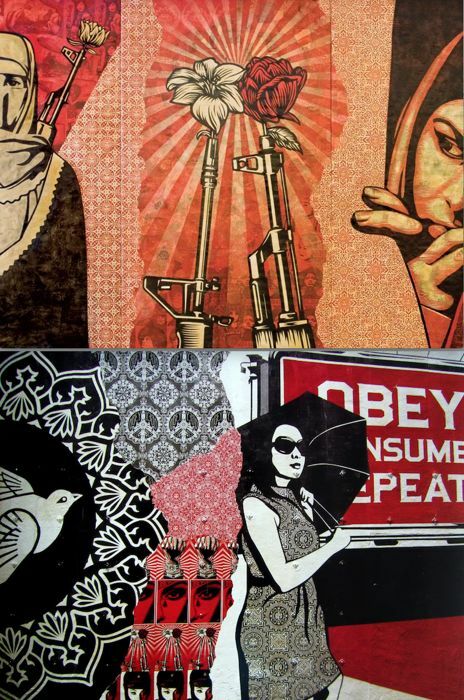 Exhibition print issued on the occasion of Shepard Fairey's retrospective Supply & Demand at the Contemporary Arts Center in Cincinnati. 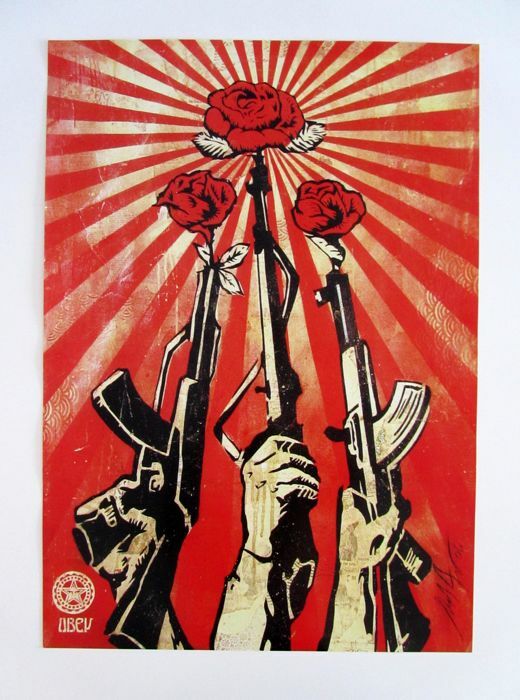 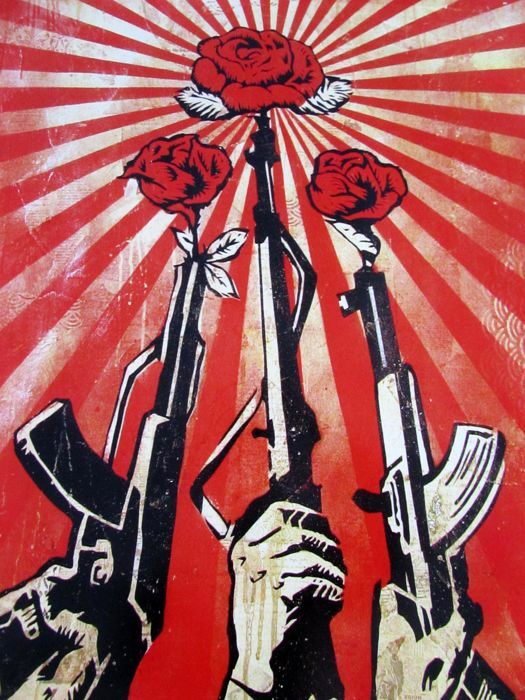 2) Guns & Roses poster also issued at the Supply & Demand Retrospective to celebrate the release of the 20 year edition of Supply & Demand book. 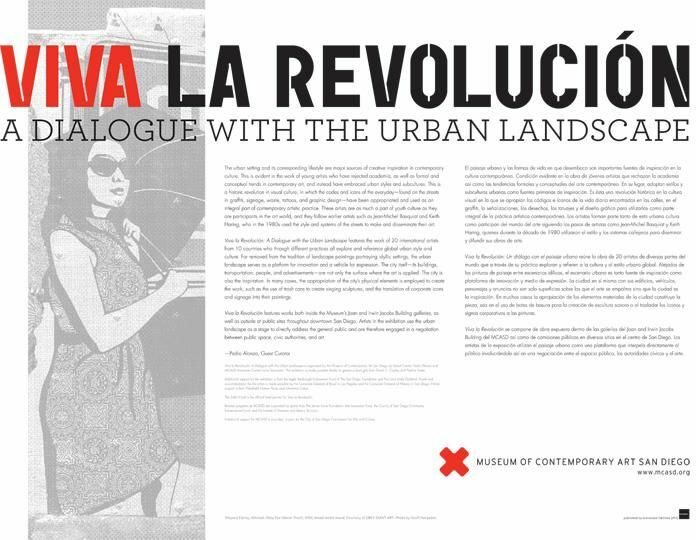 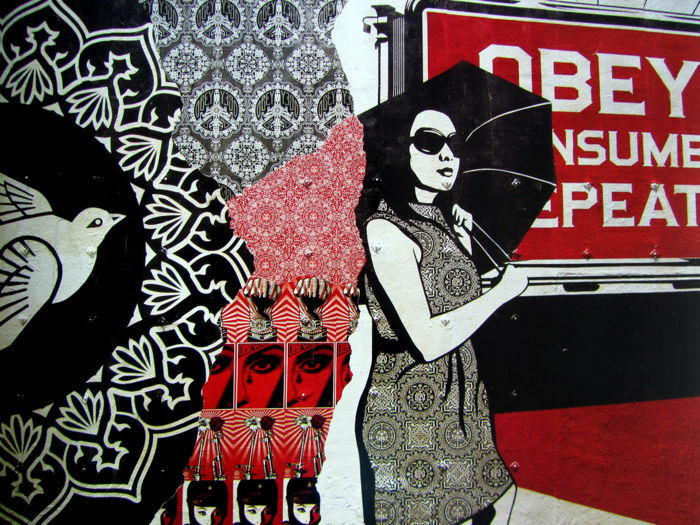 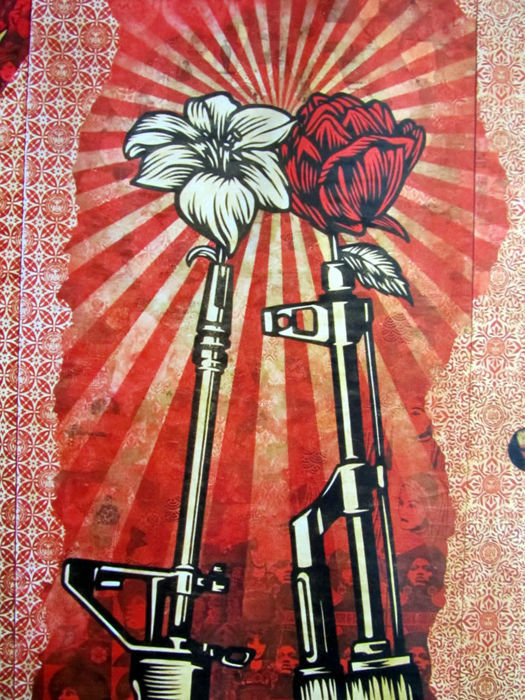 Exhibition print issued on the occasion of Shepard Fairey's Viva La Revolucion exhibition at the Museum of Contemporary Art in San Diego, CA. 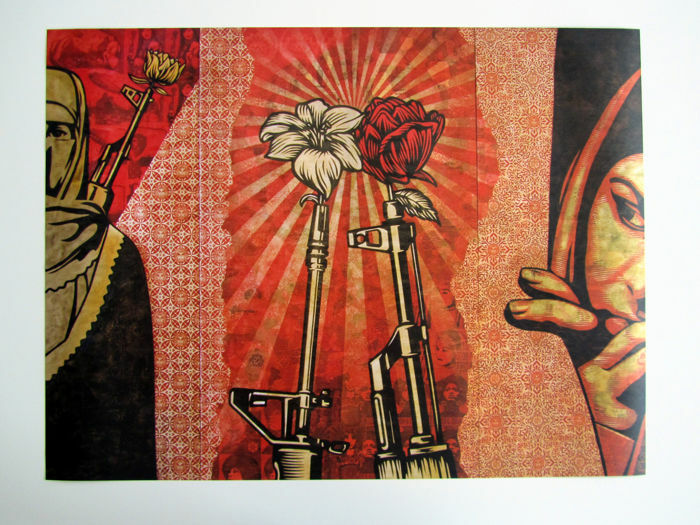 Prints will be carefully packed and shipped in double tubes fully insured with global tracking.